In this series, we explore three simple steps you can take right away to start growing your business intentionally. This post is part one of the series (find parts two and three here). How long have you been in business? According to a recent survey by Kabbage, if you’re within your first four years, every decision you make is critical. In fact, that window may truly influence everything about your company's success or failure. Of the companies surveyed by Kabbage, the biggest regrets their owners had shined a spotlight on not starting out on the right foot. For example, respondents wished they had spent up to five times more on marketing than they actually did, even though 84 percent still managed to reach profitability during those formidable first four years. If so many companies make it to the fourth year, contrary to the myths and urban legends that say more new businesses fail than succeed, is profitability the right way to define success? For most business owners, turning a profit is only one step along the way to having a successful business. If you really want your business to be successful, it needs to do more than make money. It needs to grow. This means more sales, of course, but it also means that your small business is becoming a bigger competitor in its market. Growing your business “the right way” means allowing growth to happen in a way that focuses on stability and long-term benefit instead of simply trying to increase sales. The path to positive growth for your business may look a bit different than the path other companies have taken. As long as it meets the needs of your business, then it can still be just as “right” as what those other companies do. There is no single one-size-fits-all strategy for business growth, but in this series, we’ll tackle the three main steps you can take to scale up your business right away. Before your business can start growing, take the time to plan out that growth. Sure, you’d like to bring in more revenue — but what about work-life balance? Do you love the day-to-day work of managing a business, or do you plan to sell it in the future? Often, business owners fall into the trap of just keeping things running, with no real plan for the future (except to stay afloat). If you want to see real growth, though, you need to take the time to plan things out and decide exactly what sort of growth you hope to see. Do I have enough employees to consistently cover shifts and meet customer needs in a reasonable amount of time? Are there any legal, regulatory, or financial hurdles to overcome? What do I envision for my role in the future? Am I utilizing my real strengths and gifts, or do I feel like I’m running on a hamster wheel? Don’t get discouraged if you unearth some problems. It’s mentally, and emotionally, challenging to take a hard look at your business and what you want. The only time these problems become a major hurdle is when you choose to ignore them or charge on ahead without effectively dealing with them first. As long as you’re honest about where your business stands and what issues it might face, there are very few things that you can’t plan for and build your growth strategy around. Once you have a good idea of where your business is, it’s time to cast your eyes to the future and try to imagine where things are headed. You’ve likely already done this in part, making projections in your business plan about where the business should be in a few years. Step One: Identify or update your vision — the real reason you’re in business. Step Two: Set a tangible goal. This could be financial, like a revenue goal for the next year or a number of new clients or customers you’d like to bring on. It could relate to a specific area of business, such as bringing on a new employee to take over an area you’re not an expert in. It might be a digital marketing goal. Whatever your choice, make sure it has tangible KPIs (key performance indicators) that you can track and measure. Once you know both where things are and where they seem to be going, you’re ready to start building a plan for growth. If you really want to grow your business, you can’t be afraid of setting some lofty goals based on where you are and where you want to be. Think about it and set one to three big goals that, when combined, paint a clear picture of where you want your business to go. It doesn’t matter if the goals are lofty; if they aren’t, you might even need to aim a little higher. Once you’ve settled on those goals, break each one of them down into a few smaller goals. The idea is to have at least two or three smaller goals that you can work toward for each of your big goals. Prioritize: Make a list of the goals that are the most important to achieve first. Immediate goals require immediate attention, those goals that are in the “nice to have” space can wait. Goals that have overlapping components can be reached at the same time with little extra effort. Get organized: Whether that means putting all your mini-goals on your Google Calendar with hard deadlines implied or picking up a planner at the office supply and penciling everything in, organization will help you streamline your process. Enlist some help: No man is an island. No woman, either. If you find yourself struggling to reach one of your goals because of lack of skill, lack of time or lack of patience, delegate it to someone with the right stuff. There’s bound to be someone within your business or your professional network that can help. There are times when your business goals are just too much to wrap your head around and you need a much more detailed plan of action. It can be stressful owning a small business, especially during a period of growth, and having a map to success can help keep you on track. Like stepping stones across a river, your goals -- even the little ones -- can be broken down into the individual steps, or tasks, that it takes to achieve them. For example, you might have a goal of increasing your professional network by 10 really solid people this month. That’s a big goal. The smaller goals within it would include choosing who you’d like to get to know better, how you’re going to meet them, and attending that event or participating in that social media platform. Within these smaller goals are your milestones. They’re the little rocks on the river. Deciding who you want to know better might have milestones within it like determining the purpose for this networking connection, identifying what it is you have to give them in return, ensuring that the relationship will be more or less balanced, and so forth. Being able to check off milestones makes it feel like you’re making headway, even when it’s difficult to see otherwise. The more boxes you check off, the better you’ll feel about things and ultimately, those big goals will be easy to achieve. Here’s what we’ve covered so far. Use this as a checklist for evaluating your company and planning out the goals and milestones that will help your business grow successfully. One last note: if you feel like you’re constantly racing to get everyday tasks done, follow the adage “eliminate, automate, delegate.” By following those steps when thinking about your to-do list, you can quickly hone in on what’s really important. 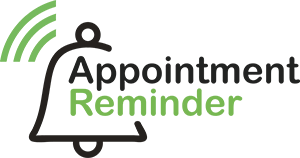 And if your business relies on steady client appointments or bookings, Appointment Reminder can help with the automation part. We alleviate the burden of manually reminding your customers of their appointments while also reducing no-call, no-shows.